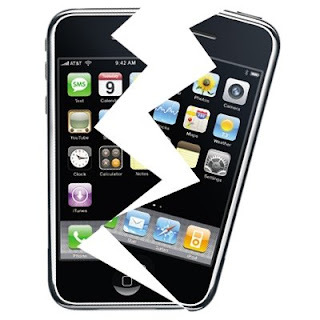 WebCanDo Blog: Can the iPhone hurt AT&T? Can the iPhone hurt AT&T? The success of the iPhone has helped AT&T move to the top of the list for wireless carriers by selling millions of Apple's cool iPhone smartphone devices. The new revenue has added billions of dollars to AT&T's revenue and has helped the carrier rack millions in profit. Can there be trouble selling so many I-Phones? The Wall Street Journal has recently reported that the I-Phone is putting a strain on the AT&T Wireless network. The iPhone itself is the most expensive device for AT&T, due to the rich revenue sharing contract with Apple. Add in the equipment subsidies on the initial purchase price and the tack on the cost to operate the data network for such a bandwidth intensive smartdevice, this all adds up to a questionable ROI for AT&T. IPhone users download games, videos and other internet content at three to four times the rate of other PDA users, according to independent studies. A popular game Myst, uses 727 megabytes of data to download. Currently, AT&T charges IPhone subscribers the same data rate of $30 per month for mobile web access as all other customers, aside from restricting activities, like file sharing, AT&T does not restrict how much data can be downloaded using an iPhone, making the iphone a costly device to operate on its network. As the number of I-Phone customers grows combined with the resulting growth in internet mobile web downloads (over 1 billion as of April 2009) will begin to cause extensive strain on AT&T's core data network. AT&T will have to expand its network and add capacity to support the data consumption of its iPhone users. In the race to compete for subscribers, the question "is this subscriber profitable" has now been lost in the shuffle. How does AT&T re-coop investments made to support these customers? AT&T will be further pressured to compete with Verizon and Sprint as they all make large capital investments for 4G technologies and attempt to increase capacity tenfold. Who pays for this capacity? The current data pricing structure will have to increase in the near term to support its growth in data. AT&T currently offers unlimited data plans to customers because most wireless users prefer a fixed cost model and many users would reconsider purchasing a phone in which they have to monitor their usage to avoid hefty charges. A price increase on unlimited data plans might also cause strain on churn, as there is heavy competition these days and smaller competitors like Sprint that have the Palm Pre as an alternative to the iphone and that can lure customers away. Apple and AT&T are rumored to be nearing a contract expiration date and AT&T is reportably expected to reduce the cost of its contract by $10 each month to hang on to the exclusive agreement with Apple, so more bad news for AT&T. From this perspective, AT&T may have bitten off more than it could chew and only time will tell if the iphone helped or hurt AT&T.